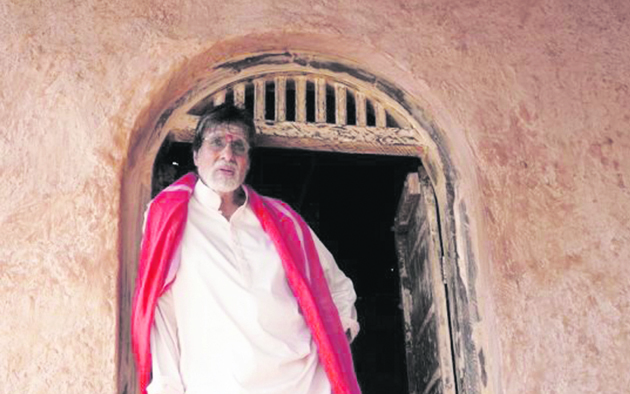 Veteran Bollywood actor Amitabh Bachchan is currently working on his Tamil debut, 'Uyarntha Manithan', alongside Ramya Krishnan and SJ Suryah. The actor recently paid tribute to Shivaji Ganeshan in a unique way, also revealing himself to be a disciple of the late actor-filmmaker. Shivaji was an actor, producer, and composer who ruled the Tamil industry for decades. He has more than 250 Tamil films, apart from Telugu and Malayalam titles to his credit. The filmmaker has been honoured with four Filmfare Awards South, one National Film Award (Special Jury) and the Dadasaheb Phalke Award. 'Uyarntha Manithan' is currently being shot and pictures from the sets have been doing the rounds on the internet. The films brings together Ramya and Amitabh around 20 years after they worked together in 'Bade Miyan Chote Miyan'.